Genius is the capacity to quickly identify connections, then use those insights to spark ideas and develop innovative solutions. 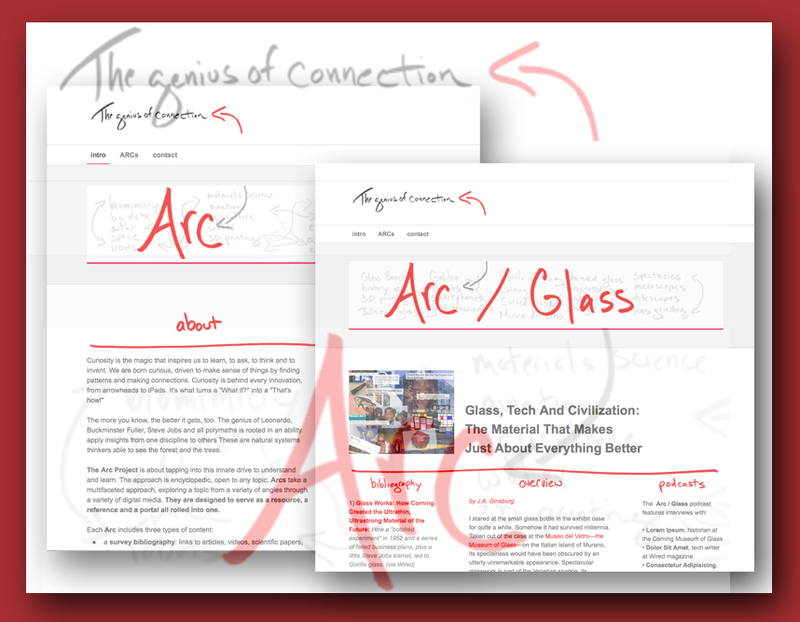 By providing new contexts for information and using formats designed to emphasize relevance, utility and connection, our team at Arc can help tap more deeply into the genius within your organization. Arc is an editorial practice that works with companies, conferences, research institutions and foundations to leverage information assets in ways that are integral to an organization's core mission. Our work dovetails content strategy, which optimizes the logistics of information, and data science, which uses modeling and statistics to spot trends and opportunities. We also work closely with marketing, where the emphasis is on branding, sales and outreach. Our focus, however, is on deepening the value of the information itself, which takes a reporter's moxie, an editor's sense of context and a publisher's talent for packaging and distribution. Two tech-driven trends have made it possible for almost any organization to add publishing to its repertoire: the increasing ease with which digital content can be created and the emergence of the tablet as the jack-of-all-media. A broad range of powerful and clever publishing platforms has slashed production costs, while providing almost endless options to repurpose, bundle, deliver and share content. Conference videos can be a powerful marketing tool, yet too often they are lost in the shuffle on YouTube, where an astounding 6,000 hours of video are uploaded each and every hour. They become stranded assets of information: expensive to produce, generating little in return. Change the paradigm and a tremendous value can be unlocked. When videos are used for research, mined for their content, they can be a springboard for developing digital reference books and special edition magazines, extending both the relevance and the reach of the conference. Video from previous conferences can be woven into the mix, so the older and deeper the archive, the greater the potential proprietary treasure. Trade show catalogs can be reimagined as must-have digital references, providing exhibitors with a targeted rich media advertising platform and buyers with a well-organized, searchable, conference-vetted list of vendors. Valuable content can be found almost anywhere, sometimes literally embedded in the walls. A case study of an energy smart home can become the focal point for a digital book on green architecture and engineering, marketed as a supplementary text to university students. With software such as MAZ—which was originally developed for magazines—publications can be simultaneously published for iOS, Android and HTML, distributed on tablets, phablets, phones and desktops. A digital reference can become a kind of library / tool box with links opening up within the publication to research, articles, videos, animations, design tools and other resources. Digital portfolios are an effective way to present projects and can be packaged in a variety of formats, including no-code-required websites such as Weebly. For foundations, portfolios of grantees' work can link to the parent site, grouped to highlight the connections across sectors, disciplines and time. The digital revolution has made media exponentially more powerful. Beyond promotion and sales, media now play an essential role in organizational operations and can be reversioned and repurposed to fit an evolving range of needs. The audio track on a video, for example, can be converted into a podcast. 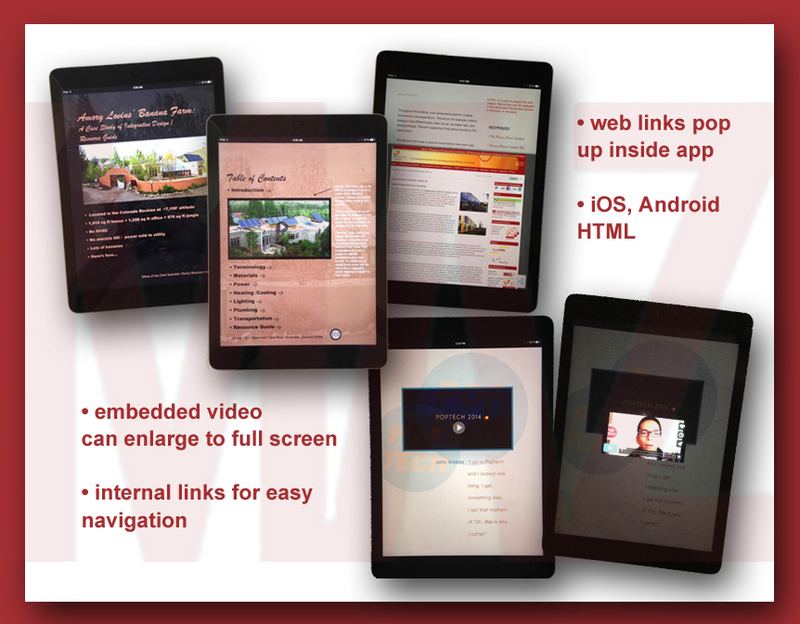 A PowerPoint deck can become a narrated and embeddable video (Screenflow). A pdf can become an annotatable document, shareable with annotations intact (Tiny PDF). 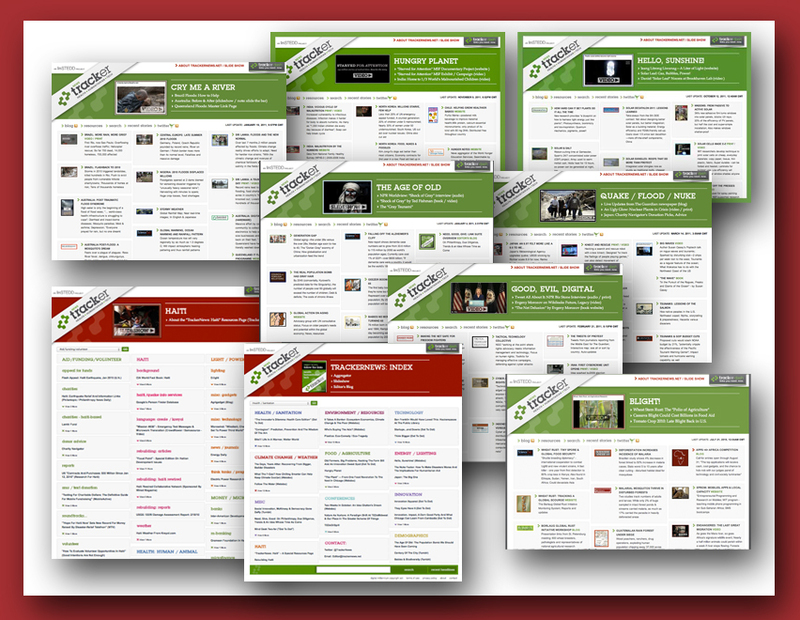 A scientific research poster can be reconceived as a rich digital media package (Thinglink). All of the above can then be embedded in articles, blogs and shared on social media. Like Russian matryoshka dolls, information can be endlessly nested within information. This is a sea change from just a few years ago when almost none of this was possible. At Arc, there is no one size fits all answer, but many answers that can accommodate changing needs. We see information as a critical, frequently under-utilized asset and develop creative solutions designed to make its value more accessible. Knowledge—which is information in context—really is power: the power to do more and better, the power to realize potential, the power to see what's next. Let's get started. Digital publishing platforms that were originally designed to convert print magazines into rich media content can be adapted to create a range of digital publications. 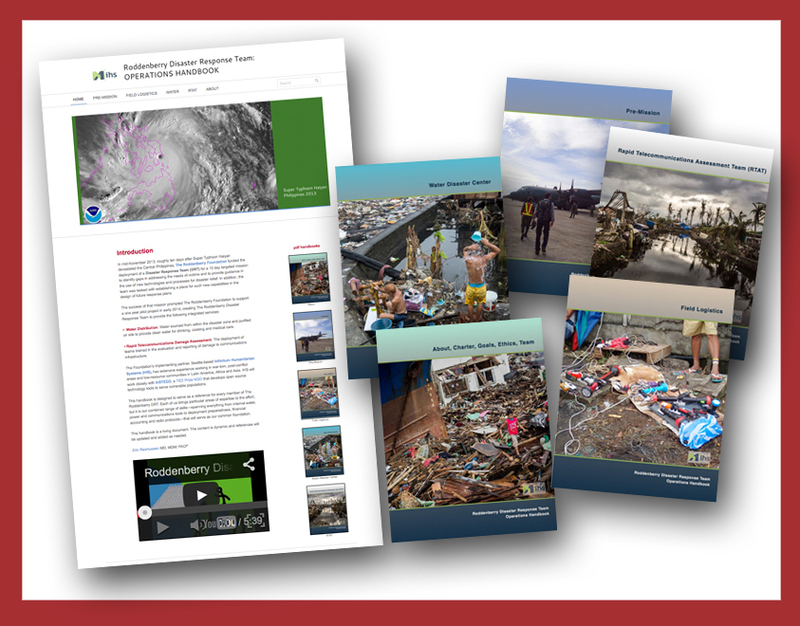 This handbook created for an elite disaster response team was produced in multiple formats—website, pdf, print—to be accessible with or without internet access. It was designed to accommodate future case studies. The website can be easily updated in the field by team members. A prototype developed to rethink the radio as podio, a synthesis of podcasts, articles and bibliographies (website). The TrackerNews aggregator was developed as a demonstration project for InSTEDD, an independent spin-off of Google.org, focused on health, humanitarian response and technology (background). J.A. Ginsburg is an award-winning journalist who has worked in print, digital and broadcast and curated several touring museum exhibitions.